May is a terrific month to visit your public gardens. The flowers are in bloom. The trees and plants are lush and green. The weather is warm, but many garden gurus want you to know that public gardens offer much more than lovely greenery. They have an important role in promoting environmental stewardship, education, plant conservation and water conservation nationwide. 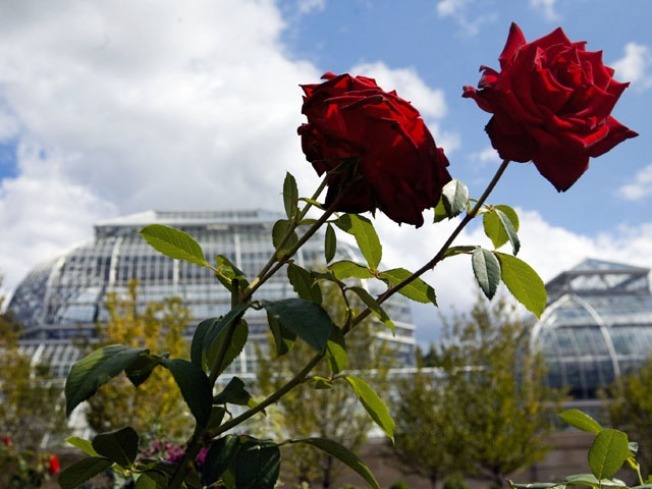 That's why the U.S. Botanic Garden is commemorating National Public Garden Day. On May 7 from 10 a.m.to 5 p.m., the Garden is featuring an exhibit on public gardens, handing out free sunflower seeds and giving visitors a sneak peak at the Garden's new summer exhibit on potatoes -- "Spuds Unearthed!" The event is a way to celebrate public gardens and raise awareness about their value. It's free and open to the public. For more information visit www.PublicGardens.org.